Much of my life these days has been spent handling film in some way, in just about every way other than shooting it: processing it (or sending it off to a lab), cutting it, scanning it, and organizing it (I switched from pages in binders to envelopes in boxes for film storage, and I’m still in the middle of organizing it all). I don’t mind that, but I’m starting to feel that “I need to shoot something” itch again. I shot some macro work of some dried flower petals in the studio earlier this month, and a few things around the house, but it’s not been quite enough to scratch the itch. 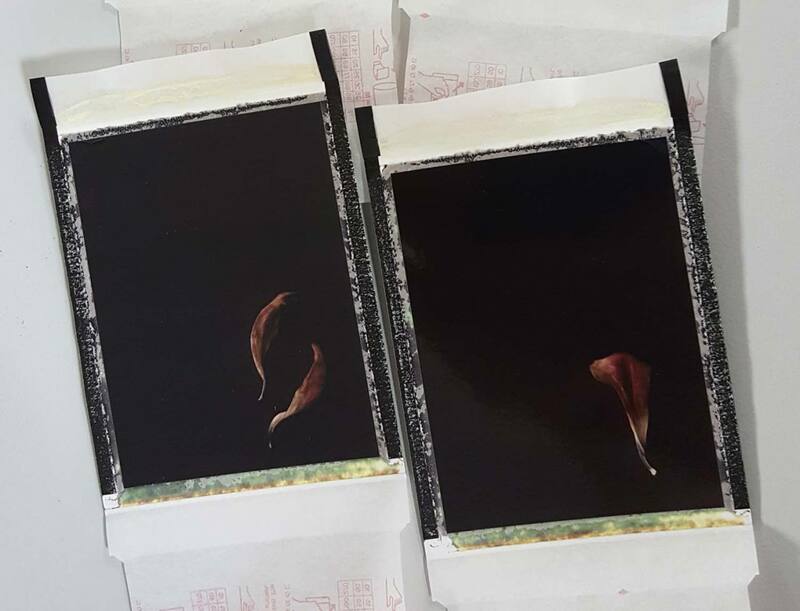 Here’s a Polaroid test of the petals (actual frame being just in the corner, as the Contax 645’s Polaroid back places it).